Museum-lovers will appreciate Seurasaari Island and Open-Air Museum and Kansallisgalleria. Visiting Bellevue Beach and Nuuksio National Park will get you outdoors. Take a break from Helsinki with a short trip to Jarvenpaan Taidemuseo in Jarvenpaa, about 46 minutes away. 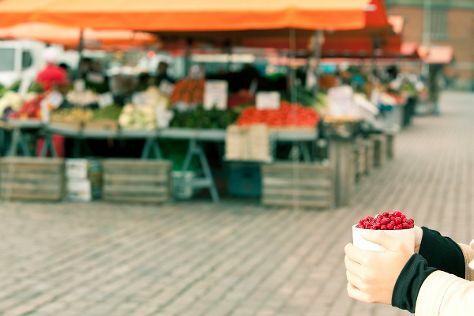 Next up on the itinerary: shop like a local with Hakaniemi Market, view the masterpieces at Galerie Anhava, stop by Okra, and test your team's savvy at popular escape rooms. To find traveler tips, reviews, where to stay, and other tourist information, you can read our Helsinki trip itinerary planner. Budapest, Hungary to Helsinki is an approximately 5.5-hour flight. You can also drive; or do a combination of bus and ferry. The time zone difference moving from Central European Time to Eastern European Time is 1 hour. Expect little chillier weather when traveling from Budapest in February: highs in Helsinki hover around 0°C, while lows dip to -3°C. Wrap up your sightseeing on the 4th (Tue) early enough to travel to Rovaniemi. Kick off your visit on the 5th (Wed): tour the pleasant surroundings at Ounasvaaran Hiihtokeskus Oy, look for gifts at LAURI, pause for some serene contemplation at Rovaniemi Church, then get engrossed in the history at Rovaniemi Local History Museum, and finally take in the views from Lumberjack's Candle Bridge. 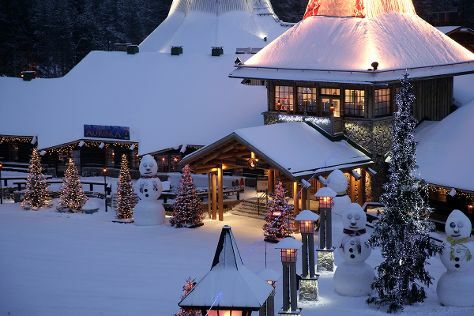 Get ready for a full day of sightseeing on the next day: don't miss a visit to Lordi's Square, don't miss a visit to Santa Claus Office, examine the collection at Christmas House Santa, then stroll the grounds of German Soldier s Cemetery, and finally catch some excitement at Feelapland. To see maps, other places to visit, photos, and other tourist information, you can read our Rovaniemi online trip itinerary maker . Fly from Helsinki to Rovaniemi in 4 hours. Alternatively, you can do a combination of flight and train; or drive. In February, Rovaniemi is little chillier than Helsinki - with highs of -6°C and lows of -11°C. Wrap up your sightseeing by early afternoon on the 7th (Fri) to allow enough time to travel back home.